The Penn-Mont Academy Montessori Professional Development Fund (MPDF) was established in an effort to provide opportunity for Penn-Mont teachers to further their Montessori Training and Professional Development. We need your assistance in funding this ongoing effort. Please make a gift today. You can learn more about the MPDF below. To support the professional development of Penn-Mont Academy’s educators in their important roles as Montessori teachers and school leaders. As a school accredited by the American Montessori Society (AMS), Penn-Mont adheres to high standards for professional staff. All lead classroom teachers must receive AMS Credentials for the specific level they teach. Additionally, ongoing Montessori Professional Development is required for teachers to maintain their active credentials as well as grow in their ability to deliver an authentic Montessori education for children. Administrators of accredited schools are required to receive a Montessori Administrator Credential and participate in ongoing Montessori Professional Development. Every year Montessorians from around the world attend the American Montessori Society’s annual conference. Workshops address curriculum, child development, leadership, public policy, research, and much more. Participation earns the contact hours required to keep Teacher Certifications active. The cost of registration, hotel and travel expenses are currently shared by the teacher attending and the school’s operating budget, which limits these opportunities. Your support allows us to send more teachers to this event each year. AMS offers on-demand videos on topics specific to Montessori education presented by leading educators and professionals in the field. Penn-Mont is utilizing these webinars during teacher in-service days, as well as making them available to individual teachers who express interest in various topics. Your support allows us to provide more of these webinars and videos to our faculty. Part of the school’s process of continuous assessment and growth involves inviting consultants to our school to observe our programs and offer recommendations. These consultants can help an individual teacher or an entire program. Consultations are a required part of our self-study and re-accreditation process. Your support allows us the opportunity to learn more from our peers and experts in the Montessori field. Grants allow teachers to apply for funding to support particular projects, areas of curriculum development, etc., based on their needs and interests. Your support allows us to fund more teachers and more projects. The Penn-Mont Montessori Professional Development Fund was established in an effort to have the monetary resources necessary to provide Penn-Mont teachers the opportunity to further their Montessori Training and Professional Development. In an effort to secure and perpetuate resources for this fund, Penn-Mont initiated the Gerald P. and Aline D. Wolf “Heart of Penn-Mont” Honoree. This distinction is named in honor of our founders Gerald and Aline Wolf. Each year, Penn-Mont honors an individual considered a true champion of our school by virtue of their leadership, dedication or philanthropic efforts. Penn-Mont Academy is delighted to announce Nancy Gurman as this year’s Gerald P. and Aline D. Wolf “Heart of Penn-Mont” Honoree. Each year in honor of our founders, we recognize an individual considered a true champion of Penn-Mont and Montessori education by virtue of their leadership, dedication or philanthropic support. Nancy has supported the growth of Penn-Mont in significant ways for more than three decades as a parent, volunteer, board member, philanthropic donor, and advocate. When Nancy and her husband Andrew moved to the area, they immediately enrolled their daughters Karen and Amy at Penn-Mont and became involved in the life of the school. Nancy was soon nominated to serve on the Board; later filling the roles of President and Secretary. Nancy’s seminal contribution to the school took the form of her leadership in the resurrection of the school’s elementary program. This level of programming had not been sustainable at earlier stages in the school’s history but Nancy led the charge to have it reestablished. She also championed the “Secure the Dream” capital campaign to build a new school facility in Hollidaysburg. 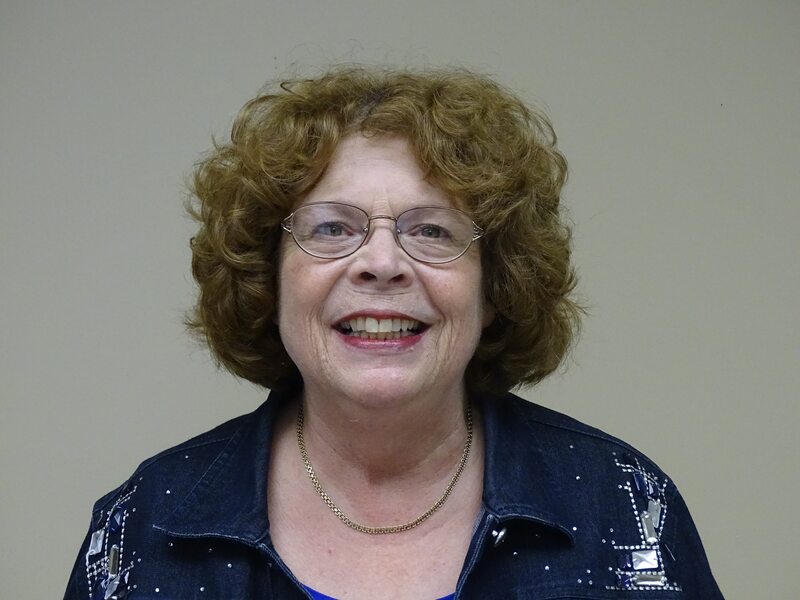 Over the decades, Nancy has served on many committees and task forces including Education, Nominating, Finance, Strategic Planning, Accreditation, while helping to shape the direction and growth of the school. She was also instrumental in bringing a Penn-Mont Montessori preschool program to the campus of Penn State Altoona. Additionally, Nancy Gurman, Esq. shared her extensive legal background as an attorney throughout the years advising and guiding the Board in governance of the school. We cannot thank Nancy enough for her significant impact on Penn-Mont. After decades of immeasurable contributions, Nancy’s deep seated love, respect and understanding of what Montessori can do for children continues to inspire us all. Please join us in congratulating Nancy. You may honor her with a gift to the Penn-Mont Academy Montessori Professional Development Fund – supporting the professional development of our teachers. Help shape the future of our school and enable students to continue to benefit from a Montessori education; a method that Nancy embraced and lived each day. Penn-Mont will recognize Nancy during a reception planned for Friday evening, October 19th. You may honor this year’s recipient, as well as past honorees through a gift to the Montessori Professional Development Fund; a fund that supports the training and professional development of Penn-Mont teachers. Click here to donate. Judy Grove is highly regarded by colleagues, parents and former students as a caring, compassionate, and inspirational Montessori teacher. With a career spanning over 35 years, Miss Judy served as a Preschool Lead Teacher at Penn-Mont Academy. Montessori trained at the Center for Montessori Teacher Education (CMTE) in New York, Judy joined the faculty of CMTE in addition to her classroom duties. Judy has a passion for working with special needs children, as well as a great love for geography. Miss Judy continues to be committed to Penn-Mont and quietly shares her love of Montessori with others. Long-time Head of School, true Montessori educator, and engaged community leader, Michelle Hartye, made a decision early in her career to become a Montessori teacher and administrator. It had always been Michelle’s vision that professional development opportunities be afforded to other dedicated Penn-Mont Academy teachers and professionals. This vision ignited the inspiration behind establishing the Montessori Professional Development Fund.